How Dermal Fillers Help to Restore Lost Facial Volume? Who could ever stop the clock of ageing? Over the years, not only wrinkles appear in our face, the skin becomes thinner and the elasticity is lost with the frequent loss of collagen, hyaluronic acid and elastin. Then there arrives a period when the overall loss of volume in face brings in a noticeable change in the facial features. Have you heard about “triangle of youth”, the ideal facial traits that reflect a youthful and glamorous look? Well, the “triangle of youth” represents the facial attributes like high cheekbones, fuller cheek and a small, defined chin. But, with age the triangle inverts itself, the cheeks become flat, the cheekbones lose its prominence and double chin further distorts the beauty of once a very pleasant face. In such a case, cosmetic injectables really help in halting that triangle from overturning, especially dermal fillers in Melbourne. * Smooth and luminous skin. All these characteristics form a harmonic facial structure that extends from above, narrowing towards the chin, with a balanced appearance, differentiating characteristics of men and women. Appearance of wrinkles and lines. Decrease in elasticity in the cheek area. These are the signs of age that invert the triangle. Habits of life: tobacco, smoking, prolonged sun exposure, accelerate the ageing process. The formation of free radicals weakens cellular structures that help maintain the skin hydration, resulting in a loss of volume and deepening of wrinkles. The loss of volume and the appearance of signs of ageing can be treated with non-surgical treatments, which help to recover the natural contour of the malar and restore volume loss. One of the most used dermal fillers in Melbourne is hyaluronic acid, which, improves skin hydration, promotes collagen synthesis and normalizes the function of the dermis. Due to the natural, refreshing look that it provides and also not to forget the numerous beneficial properties it has, hyaluronic acid is the most accepted dermal filler in Melbourne. Depending on the characteristics and needs of the patient, for instance, some patients require proper lifting whereas some require restructuration. So, based on the requirement, different types of hyaluronic acid treatments are implemented, varying their molecular weight and cross-linking. Another filling material is Calcium hydroxyapatite, present in our body and designed to restore facial volumes and natural contours. But it is very seldom used due to the unappealing fake appearance that it procures. 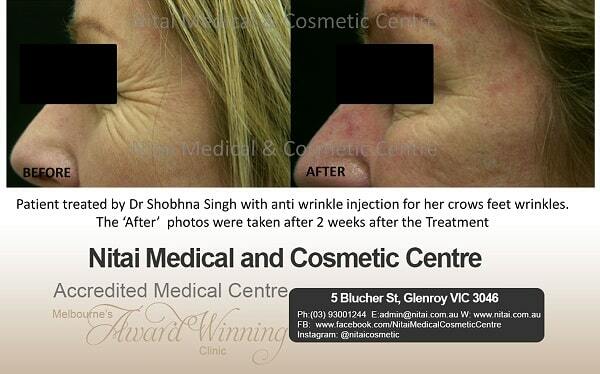 How long is the session of dermal fillers in Melbourne? Generally, the session lasts for around 20 to 40 minutes. The effects begin to be visible immediately after the injection, reaching its optimal results within a week or so. What if you were on some kind of medication? It is important to let your physician know about any sort of ongoing or past treatment if you are taking any medication or used to take a few weeks ago. Even taking analgesics such as aspirin and some vitamins can cause bruising, so be certain to discuss this with your physician. In general, no, but it depends largely on your treating doctor. Albeit if you have sensitive skin, the doctor might previously apply a small amount of topical anaesthetic to minimize any discomfort at the time of injection. 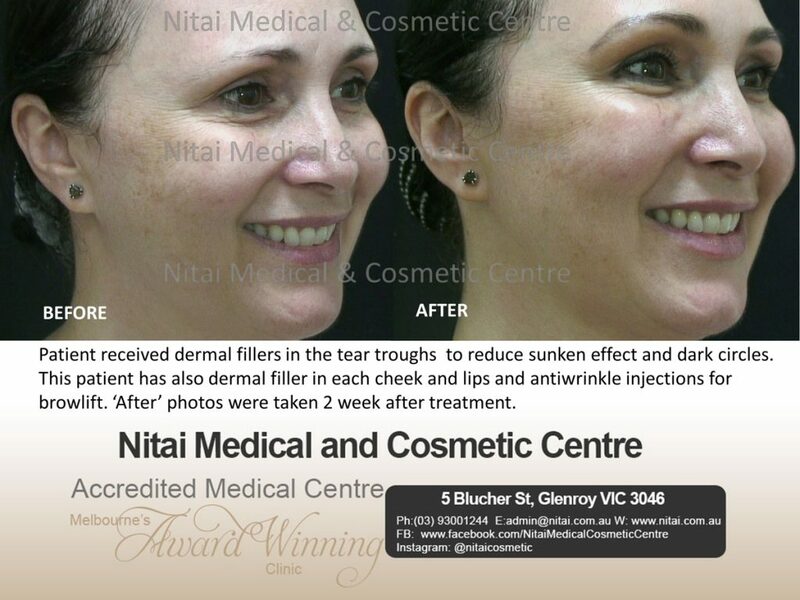 Can I start a normal activity after the treatment with dermal fillers in Melbourne? Yes. Some patients experience inflammation, redness or bruising after the injection, which usually disappears after treatment. This allows returning to daily activity immediately. How to maintain a youthful look with dermal fillers? To fight down the progressive premature ageing, it is best to work on the sagged and crinkled facial parts individually, but all the while maintaining a symmetry between the features such that the natural charm of the face remains unspoiled. The cushion of fats on the cheek exudes a sublime and youthful look. The volume loss and collagen loss in face destroy that charming appeal. 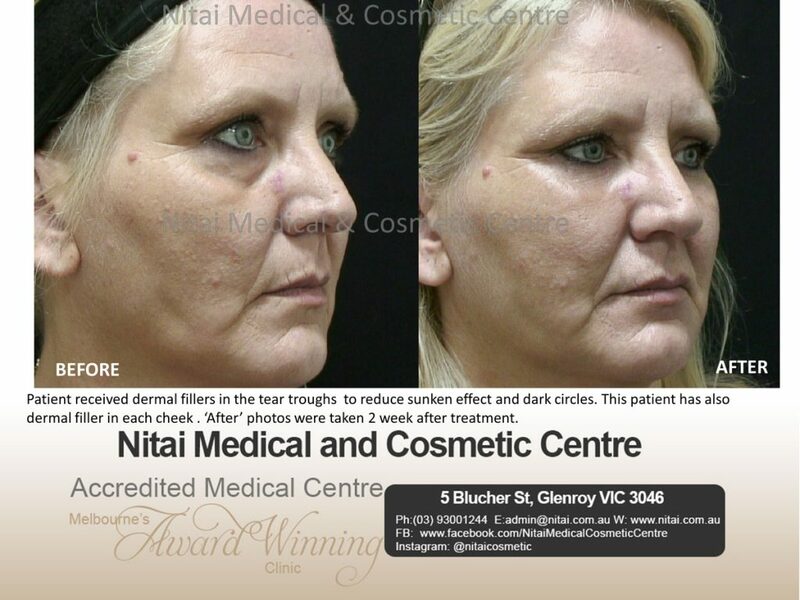 That is when cheek augmentation with dermal fillers in Melbourne come into play. The procedures for cheek augmentation cause little discomfort, embellish the malar contour and contribute to improve self-esteem. The infiltrations of the cheekbone provide a non-invasive and effective solution for this area. With the use of Hyaluronic Acid, it is possible to restore the volume loss due to age or to define the lost contours. 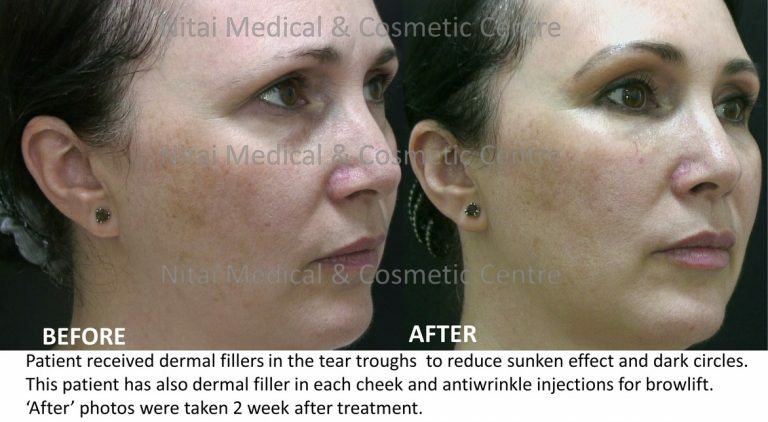 The dermal filler treatment is done in about 20 minutes and the results become more visible after a week or so and the effect lasts approximately 6 to 24 months depending on the type of fillers applied. This treatment can be carried out in conjunction with other procedures, such as antiwrinkle injections, double chin treatment, etc. for a younger and rejuvenated appearance. There are also cases of flattened cheekbones due to genetic factors, which can also be corrected with facial fillers. When we age, our lips begin to lose colour, fine lines begin to appear, and the lips become thinner and smaller. This is because the production of collagen begins to decrease with age. The gradual degradation of the lip with the passage of time plays an essential role in the ageing process. It is possible to recover the fleshiness, sensuality and youth of the lips with treatments of dermal fillers in Melbourne. Lip fillers are made with filling materials, specifically with hyaluronic acid, which manages to recover their initial shape and redefine the edges that had lost definition. How does a natural lip filler like hyaluronic acid help? Lip fillers treat competently the oral commissures and lines of the smoker. Outline of Cupid’s Bow is defined. Lips derive a luscious, natural and sensual look. Different techniques are used to increase the plushness of lips, depending on where the volume is needed. Hyaluronic fillers not only lend volume, but also hydrate the lips to get a younger and attractive look. The Arch of Cupid and the ridges of the upper lip can be defined with dermal fillers in Melbourne and thus recover their original youth. Hyaluronic acid fillers are considered safe (with a pre-explained risk profile) and not permanent for an increase of natural lip that will last for 6 to 12 months. Nasolabial grooves, oral commissures and puppet lines occur due to volume loss across the face. Generally, the perioral areas are the cause of a sad and ageing appearance. Hyaluronic acid filler is also used to reverse an inverted smile, nasolabial groove or puppet line. Proper insertion of the facial fillers in cheeks and lips remove the all these lines and folds, thus rejuvenating the face completely. Inflammation appears after treatment with dermal fillers in Melbourne and you should avoid touching or applying any type of makeup for 24-48 hours after the treatment. Like any injected treatment, bruising and redness may appear that fades away within a week. Some other serious complications may occur, such as hypersensitivity reactions, infections and granulomas, although they appear very rarely. In case, they do, refer to your physician urgently. Dermal fillers, when used by an experienced physician, can repair all the damages of premature ageing. But it is important to find the right clinic and right physician. If you require any guidance in the correct direction, get in touch with us at www.nitai.com.au. WOMAN…one of the most beautiful creatures to be shaped by the divine! But, with age, the glory of youth fades… It happens so many times that while glimpsing through old photographs, we wish we could stop time and recapture that flawless beauty in reality, just like in those old photographs…isn’t it? Well, although all wishes can’t be granted, the desire to have a youthful, glowing and healthy skin can definitely be permitted. How? With the discovery of dermal fillers, the advanced cosmetic injectable to treat lines, wrinkles, folds and volume loss in the face. Many people assume these injectable anti-ageing treatments to be very expensive and so they never visit a proper cosmetic doctor only. But, is it true? How much do dermal fillers cost? Let us find out a little more about dermal fillers treatment and its price. Why do people go for dermal filler injectables? One can choose not to undergo any cosmetic corrective procedure, but then without a doubt the deep lines between the eyebrows, the lines from nose to mouth (nasolabial folds) and the volume loss with sagging skin, cannot be treated without any surgical treatment. In a nutshell, there are no skin care products that can work like Anti-wrinkle injections or dermal fillers. Good care of the skin from an early age can make a big difference in the appearance of the skin but, still it cannot fight age, the wrinkles from muscular movement, fat loss, gravity and sun damage among other factors, which in the end, lead to aging. We cannot avoid the reflection of time in our skin especially after 35 years, no matter what beauty solutions we try. And dermal fillers are really a way to stop the mark of time. In fact, when famous women, models and women around the world over 45 years old, have a facial skin that seems really very soft, consistent and jovial, you can bet, that a large part of them have been made Dermal filler injections. So, if you are over the fear of needles (injections are not pleasant) and already tired of spending money on so-called lifting creams that do not work, then maybe you should consider dermal fillers instead of worrying over dermal fillers cost. Dermal fillers have a very specific function unrelated to other medical corrective procedures. It is injected directly on the skin, a natural or synthetic substance in the frown lines, the deep lines from the corners of the nose to the corners of the mouth, the depressions along the line of the jaw, the sunken areas below the eyes or the hollow areas of your face, the wrinkles and lines. This improvement can last from 3 months to 2 years or even longer, depending on the type of filler used and how you care for your skin. Are dermal fillers similar to anti-wrinkle injections? Do not confuse dermal fillers with anti-wrinkle injections. Although both procedures involve injections, anti-wrinkle injections are injected more often around the forehead and wrinkles around the eyes (crow’s feet) to stop the muscle movement that leads to wrinkles. It has nothing to do with the increased or smoothed effect of dermal fillers. Many people use both anti-wrinkle injections and dermal fillers, because the combination can produce a noticeably younger face. Dermal fillers are actually very cost efficient. The exact valuation of money depends on the type and amount of fillers used, based on the skin requirements. However, stay assured, the dermal fillers cost is always minimal, compared to other surgical and non-surgical treatments. Present day lifestyle demands 24*7 attention and care. Follow our 6 tips to get best results from dermal fillers and let your skin bloom from within. Young, glowing and rejuvenated skin…seems like a dream come true, isn’t it? That’s exactly what you can get from facial fillers. In recent times, dermal fillers have become a revolutionary cosmetic treatment that has transformed millions of lives by reversing the effect of time. The premature signs of ageing like wrinkles, folds and volume loss can be very efficiently treated with the help of dermal fillers. Although nearly 53% of Australian women agree that dermal fillers refresh the face by retaining its lost volume and removing the creases, sadly, it only offers a temporary solution that lasts for a certain period of time. Therefore, it becomes essential to learn the few tricks that help in prolonging the effect of dermal fillers. Once the dermal filler anti-ageing treatment is done, it becomes crucial to take good care of the skin letting the outcome of the treatment last longer. The skin should always be kept properly moisturized to improve the texture. Also, it is recommended to drink lots of water as it keeps the skin hydrated and thus, accentuates the longevity of the fillers. Such, small prerequisites help in improving as well as prolonging the effect of dermal fillers. The harmful UVA and UVB rays of the sun can ruin the effect of dermal fillers. Hence, using a broad range sunscreen is advisable. Apart from that, wearing a hat out in the sun or covering the face from direct sun rays help in averting the detrimental consequences of the sun, thus, ensuring that the effect stays longer. rectifying the quality of the skin. Including loads of fruits and juices in everyday diet maintains the water and hormone balance in the body. Nourishing diet improves the overall health of the skin and thus prolongs the effect of dermal fillers. Apart from all that, it is advisable to avoid binging on packaged food, extra sugary content and immensely greasy stuff. Once the dermal filler anti-ageing treatment is completed, it is recommended to continue with the follow-up sessions. During those sessions, your physician will analyse the outcome of the treatment and make suggestions to enhance the effects of dermal fillers. Although unavoidable, stress is extremely injurious to health. It sabotages the hormonal balance and increases the cortisol level in our body, which in turn accelerates the ageing process of our body. It is one of the basic reasons to develop premature signs of ageing. Any sort of emotional, financial or social causes may exert stress in our mind but for a healthy life and skin both, it is essential to ebb the stress level. A little bit of meditation or yoga are renowned for taming down the stress levels, so you give either of them a try. Intense exercise not only keeps the body fit, but it also returns the natural glow of face. During exercise, the sweat secreted from the body also removes the toxic constituents from our body. Thus, the skin feels fresh and rejuvenated after a proper session of thorough workout. Once you determinedly start performing regular workout sessions, you will notice a remarkable change in your skin intensifying the benefits of facial fillers. Beautiful skin is not an overnight miracle, but it is the payment of all the time and efforts invested in it every day. The above-mentioned points are a few very simple tips to get the best results from dermal fillers treatment, that can be very easily implemented in our life. Hope you try them and magnify the glamour of your skin manifold! Have You Checked Out All the Benefits and Risks of Lip Injections in Melbourne Yet? We kiss, we pout, we dazzle the whole world with our infectious smile! For us Women, lips are the most glamorous part of our face and every day, we invest so much time to make them look plump and perfect. 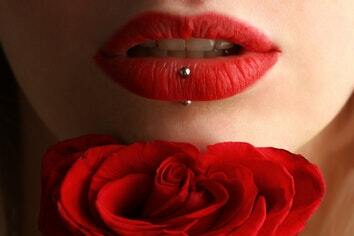 However, when we age, the perfection of lips is destroyed. They become thin, flat and a number of vertical lines appear in the upper lips making them appear aged. Even though we try to conceal them under the glossy shine of lipstick, but still their existence is not compromised. Although, the solution to these problems is quite simple, resorting to the best lip injections in Melbourne. There are negligible complications involved with augmentation of lips, but all the patients should understand both its possible risks and benefits before undergoing the treatment with dermal fillers. The increase in the size of the lips is a popular procedure that, in general, has a high percentage of patient satisfaction.  The most noteworthy benefit of enhanced lips is that they improve the overall appearance and ascents the self-esteem.  Injectable lip fillers, fat plumper or lip implants, whatever you name it, they can be used to transform aged, disproportionate or naturally thin lips into soft, voluptuous and youthful looking lips in a single visit to the doctor’s office.  After the treatment with lip injections, the lips appear hydrated and nourished. Thus, improving their natural texture with time.  Irrespective of age, some women might be born with thin lips. So, in their youth as well, lip injections may help by lending the thin lips proper volume and definition, appropriate for young women. 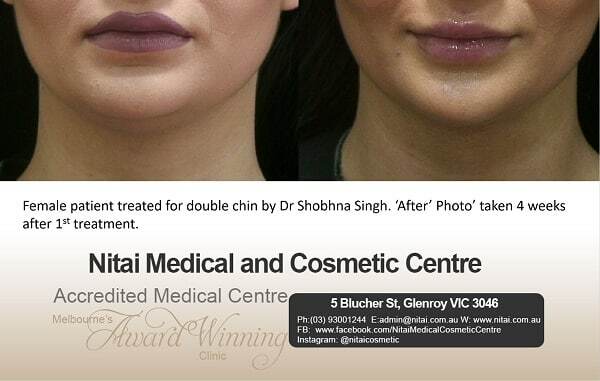  Best lip injections in Melbourne eradicates the appearance of upper lip wrinkles also, giving them a plush and supple look.  With lip injections, the arch of the lips (cupid’s bow) and the surrounding outline can be made prominent and more defined. The voluminous lips are unconsciously recognized as a biological sign of youth and fertility and are a symbol that transcends cultural fashions. As a woman matures and cell regeneration process slows down, the lips may lose their volume and appear thinner and thinner over time. Applying lipsticks and glosses often prove counterproductive, as they highlight the wrinkles around the lips instead. Certainly, then the increase in the size of the lips can return the lips their sensual and youthful voluptuousness or give the naturally thin lips a renewed volume that they never had before. Complications from best lip injections in Melbourne are rare. However, as with any medical procedure, there are certain risks that must be considered.  Infection may occur after the lip enhancement treatment if proper hygiene is not maintained during the whole process.  It is important to control proper healing after any type of lip enlargement procedure to avoid any future complexities.  Any type of inflammation or oozing should always be reported to the doctor immediately as it might indicate an error in the treatment.  Although it is rare, the body can sometimes reject labial implants, which requires the removal of these. In those cases, an allergic reaction can be noticed. Consult your physician immediately if such a situation occurs, the lip fillers can be disintegrated at that time to stop any serious consequence.  Implants can also migrate from its precise position if it is not done properly, which can lead to a second operation to re-adjust their alignment.  Aesthetically, an overdose of lip injections might end up displaying an utter fake look. Even though it is not a risk, but, of course, it is something everybody wishes to avoid. To avoid all such risks, we recommend consulting a licenced cosmetic physician first, and then decide your course of treatment according to your requirements. 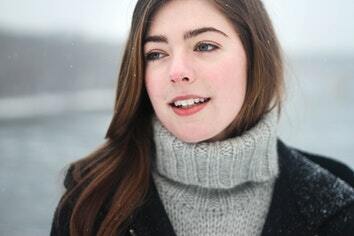 Present day women do not seek to look forcefully young, rather they prefer to look their best self at any stage of life. Dermal fillers, with its capability to retain lost volume in the sagged areas of the face as well as boost the collagen build up in the skin, erases wrinkles and other traces of ageing. 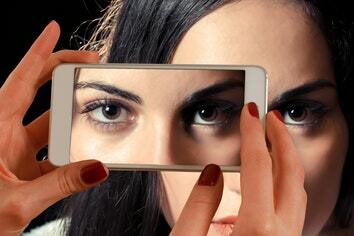 Thus, visually enhancing the appeal of the face but not overexaggerating it to present a fake appearance. Beating the stubborn signs of ageing is no shorter than a miracle and this miracle occurs only when you find the perfect match of 3 Ps – Practitioner, product and place. An experienced cosmetic physician can prescribe the most suitable anti-ageing treatment for you. Whereas, the perfect anti-ageing treatment is possible only when a good quality product is used in the treatment. And the ultimate one is to find the perfect clinic that facilitates high-quality treatment at an economical rate. The right combination of these three will set the course of acquiring the most effective results that last longer. Many people carry this false notion that dermal fillers and anti-wrinkle injections are the same. But, this is very far from the truth, dermal fillers are artificially generated gel-based compound that retains the volume in sunken areas of the face, thus, veiling the existence of dark circles and wrinkles to a great extent. In comparison to that, anti-wrinkle injections relax the facial muscles so that they cannot make unnecessary expressions, hence, limiting the appearance of dynamic folds and lines. Many a time, it is heard that dermal fillers cause severe allergy and inflammation, but it is not a general occurrence, it happens when the treatment is not proceeded with precision. 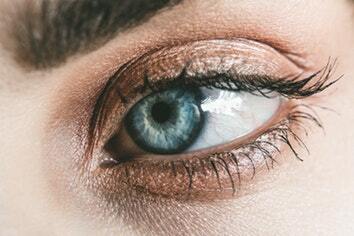 The chances of such irritation after the treatment extends when actual collagen from animal bodies is used as fillers, which is mostly avoided by licenced practitioners. Apart from that, the allergy test is also conducted at all the specialized dermatological centres to refute even the slightest possibilities of allergy or soreness. Hence, the possibilities of dermal filler injections to cause allergic reactions is generally negligible. Contrary to the general belief that facial fillers present a total fake look, dermal fillers actually provide a very rejuvenated appearance. Dermal fillers improve the volume of the skin, define the outlines of facial features, remove wrinkles and folds, instigate collagen production and also hydrate the skin from within. Thus, with dermal fillers, subtle imperfections of our face can be fixed without overdoing it and maintaining the natural feel and look. Dermal filler anti-ageing treatments hardly take 15-20 minutes to finish one complete session, without any downtime post that. The patients who underwent this treatment have very rarely mentioned any painful experience, but still, for those with sensitive skin, dermal fillers are infused with local anaesthesia to eliminate all the hints of discomfort in the ongoing treatment. On asking a few questions regarding the experience with dermal fillers, one of our patients (who prefers to stay anonymous) has provided her feedback, which aided us in understanding the impact of the anti-ageing treatment with dermal fillers. How did you decide to give dermal filler a chance? 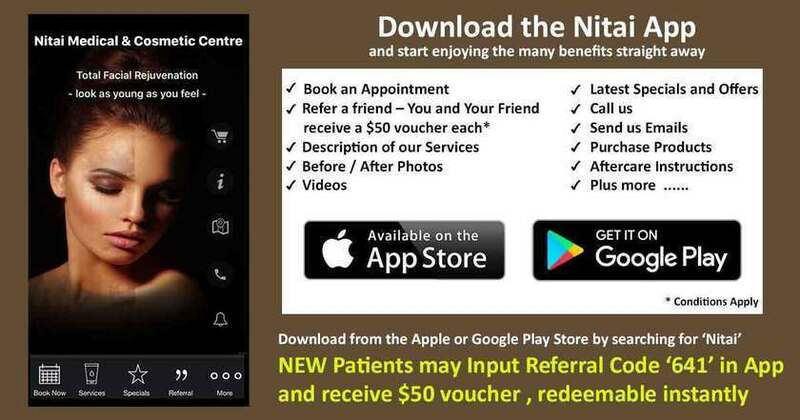 When I started getting under eye circles as well as droopy eyebrows, I booked an appointed appointment with Dr Shobhna Singh from Nitai Medical and Cosmetic Centre, Melbourne. During the consultation, after inspecting my face, she suggested dermal fillers as it replenishes the skin and removes the dark circles, wrinkles and folds. Of course, I continued my own research on it and then decided to go for it as it genuinely improves the skin condition as per the reviews. I took help of facial fillers to correct the undereye circles and also to fix the drooping eyebrows perfectly. To my surprise, it worked miraculously. Not only my dark circles were gone, but it fixed my skin and defective eyebrows as well. Primarily, when the syringe is injected into the skin, subtle stinging sensation or irritation might be observed at first, which may be followed by slight bruising, redness and pain. But, personally, I didn’t notice anything except the first initial discomfort. Do you think the dermal fillers treatment gives a natural look? Definitely. Sometimes, subtle changes can create huge differences and that is exactly what dermal filler does. After my treatment, the eye area looks hydrated and fresh and it transformed my whole appearance but in a very natural way. I look lively and attractive now rather than my old, tired self. Mention one thing that changed after this treatment. Well, honestly, since the treatment with dermal filler injections, I have been receiving lots of compliments from friends, family and all acquaintances. It feels great. So, one thing that has changed for certain is that I am a lot happier nowadays. How may dermal fillers help in achieving your best version? Every man and woman desires to look spectacular every day, no matter what their age is. With age, though, we eventually part away from that glamour and beauty of youth. The changes are subtle such as the lines and folds in our face become prominent, volume loss in lips, cheeks and under eye areas, but they completely ruin the appeal of the face. Dermal fillers with its rejuvenating properties can repair all such signs of ageing. With very little downtime and affordable cost, dermal fillers plum up the sagged skin, giving mass to the sunken areas in the face. Thus, it lifts the appearance of wrinkles and folds as well. Since these facial fillers also stimulate the collagen build-up process, so it can be said that dermal fillers refreshes, rejuvenates and rehydrates the skin from within. Hence, this non-surgical anti-ageing treatment eradicates all the skin concerns very efficiently when personalized as per the skin requirements, thus, unveiling the best version of yourself. Increase in age means a decrease in the elasticity of skin, internal fat padding, and facial volume. As a result, the face develops dark circles, fine lines, folds, and creases, that makes us appear old and tired. Dermal fillers help in eliminating these signs of ageing by re-filling the lost volume and enhancing the elasticity of the skin, but certain dynamic lines such as crow’s feet, frown lines, etc. can be more efficiently treated with anti-wrinkle injections. 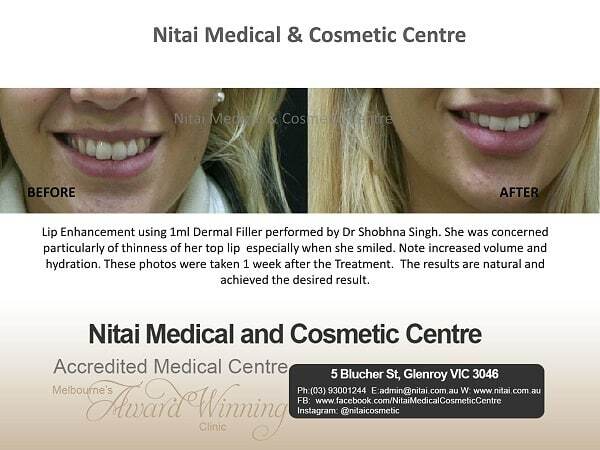 So, to magnify the effect of the anti-ageing treatment, at Nitai Medical and Cosmetic Centre, we often customize the treatment plan by including both dermal fillers injections and anti-wrinkle injections. 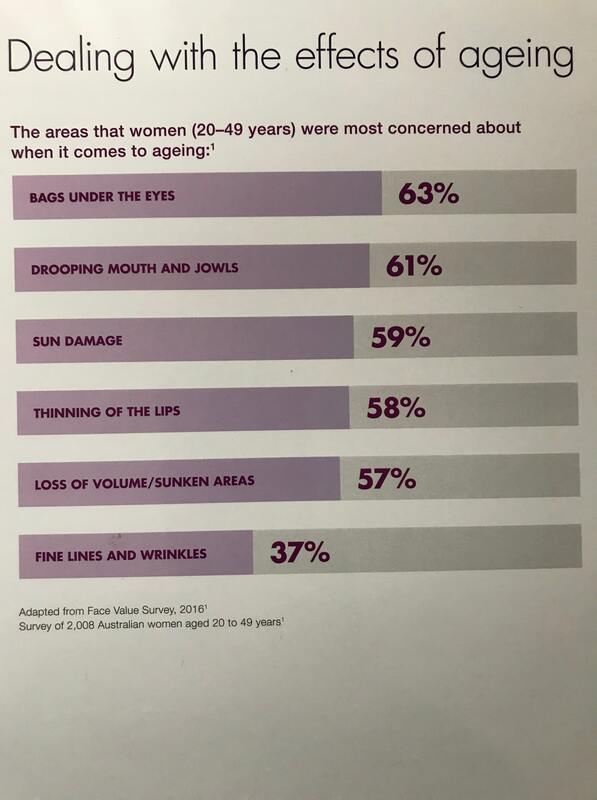 A recent survey has revealed that around 64% of Australian women believe that dermal fillers are more accepted nowadays by the generic crowd than they were five years ago. So, why not give dermal fillers a chance today?